In his paper “A Theory of Human Motivation” Abraham Maslow explains that the most basic level of human survival is based on simple physiological needs such as air, water, food, sleep and shelter. It’s that last category of necessities (shelter) that drew Edel Godfrey into a career in the housing industry – where she was recently named Synergy’s Business Development Manager for the organization’s EMEA Global Solutions Centre in Dublin. Edel first began her career in housing in 2004, while Dublin was in the middle of a real estate boom. 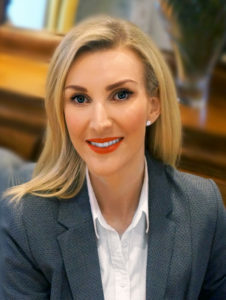 The volume and pace of the industry, combined with the ability to help families find a house, created a passion for real estate and property management that eventually led her to starting her own real estate agency in Dublin. In 2016, Edel found that the responsibilities of leading a Dublin property company had become repetitive, and the organization was acquired later that year. Her desire for a new challenge is what prompted her to join the Synergy team. Working as Synergy’s primary sales manager for Europe, the Middle East and Africa provides Edel the perfect opportunity to continue helping people find a new home while taking on challenges from a new industry – corporate housing. This is an exciting time for the serviced apartment industry in Europe, she says. With so much still undecided about the details of the United Kingdom’s departure from the European Union, companies and cities are preparing for a post-Brexit EU, but must remain flexible enough to adjust to whatever decisions government officials eventually make. The need to diversify an organization’s European presence until regulations are finalized is creating a growing need for serviced apartments throughout Europe. Companies looking to set up satellite offices outside of England are discovering the need for a first-rate temporary housing provider, and partnering with an organization that has a truly international reach is becoming increasingly important. Synergy doesn’t simply provide serviced apartments, but manages complete housing programs collaboratively with its corporate clients. As a true housing consultant, Synergy breaks through the traditional approach with its boutique delivery of service on a global basis.  For more information about Synergy’s serviced accommodations in Europe, the Middle East and Africa, please contact our office in Dublin at +353 1 485 1014.